You have just come home with a betta fish and decided that you want a few tank mates. However, you cannot put multiple Bettas in the same tank. Betta Fish, also known as Siamese Fighting Fish, defend their territory fiercely. They will fight for their tank. Males are especially likely to fight other male bettas, but their is really no safe combo when it comes to multiple Bettas. That being said, there are a few types of fish that bettas will accept as tank mates. When looking for Betta fish tank mates, you must choose very carefully. Looking for amazing betta fish tanks? Check out our guide covering the best Betta fish tanks on the market. In the wild, Bettas live peacefully among each other. They rarely show aggression unless breeding season is near. In home aquariums, though, their temperament is completely different. A combination of selective breeding and high stress environments have turned Bettas into formidable fighters.Thus, Betta Fish tank mates can be tough to find. It is important to know that Betta Fish do not usually require tank mates. They are perfectly fine living on their own. That being said, most people enjoy to watch a tank full of fish rather than a single Betta. If you plan to take this route, keep reading to discover our list of 10 compatible Betta tank mates! 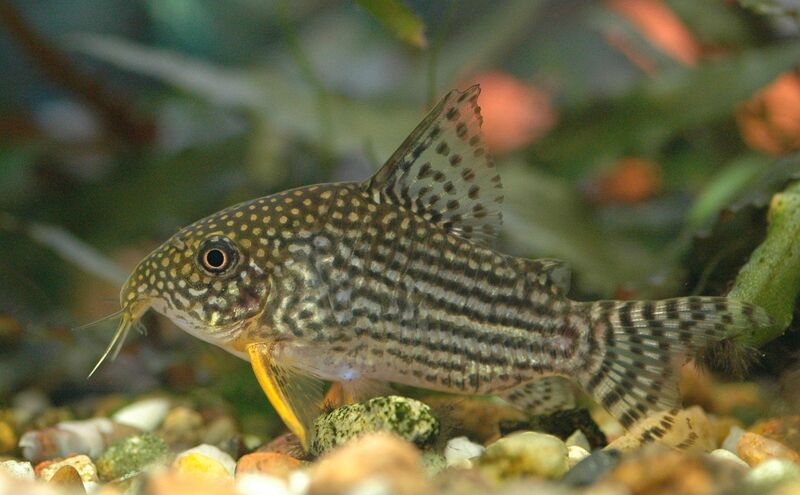 Corydora Catfish, also known as Cory Cats, are the ultimate tank mate for any species. In fact, they rank #1 as the best overall community fish in our Angelfish Tank Mate Guide. Cory Cats are unlikely to every give you trouble. They are hardy, peaceful, and very easy to care for. These fish prefer to live in schools, so make sure you get 4 or more. Cory Cats are available in tons of different patterns and colors, so finding one to compliment the colors of you Betta fish should be easy. Overall, I would recommend this fish before any other! The Kuhli Loach is an interesting fish that people often mistake for an eel. Despite their unique appearance, Kuhli Loaches make great tank mates for nearly any species. They are hardy, reserved, and stay relatively small. Kuhli Loaches prefer sand or smooth gravel substrate. Rocks with any sharp edges will scratch the underside of these fish, which can cause damage long term. 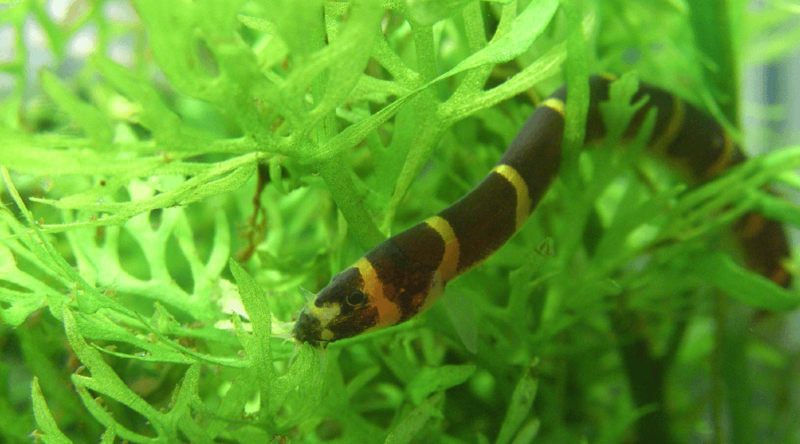 In addition, Kuhli Loaches prefer to live in groups of three or more. CaribSea Natural Moonlight Sand is a great substrate choice for those looking to keep Kuhli Loaches in their aquarium. Bristlenose Plecos make great Betta fish tank mates. Much like the other species of the list, Bristlenose Plecos are easy to care for and require little extra treatment. 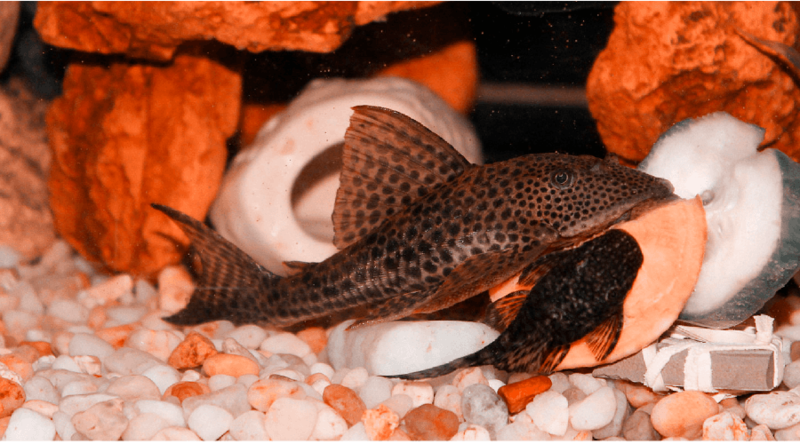 Plecos are armored with extremely tough plates, so even if you Betta gets a little picky, the Pleco won’t be phased. One great this about Bristlenose Plecos is that they help keep your tank clean. They feed primarily on algae and uneaten food, which help keep you tank looking great. If you don’t think your Pleco is getting enough food, they love algae wafers as well. Hikari USA makes great, nutritious wafers for those who are planning to keep any type of Pleco. 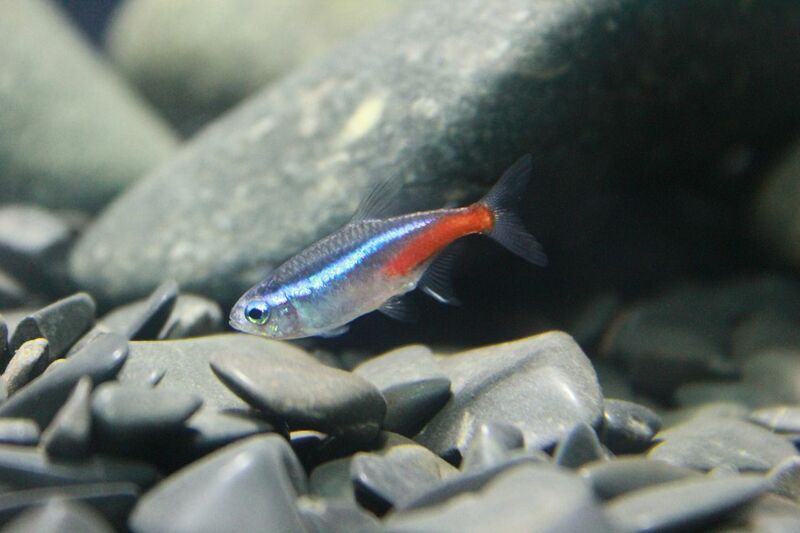 Neon Tetras are one of the most popular freshwater fish for beginners. They are spunky, quick, and easy to care for. In addition, Neon Tetras make great tank mates for any fish that are on the smaller size. Like many others on the list, Neon Tetras are schooling fish. They prefer to be kept in groups of 6 or more fish. They are very interesting to watch in large schools of 10 or more, so if you have a large tank I would highly recommend them. Though small, Neon Tetras make great Betta tank mates because of their speed. Even if your Betta is a little aggressive, Neon Tetras will be able to out swim Bettas every time. Harlequin Rasboras coexist with Betta fish in the wild, which gives them an edge compared to other species on the list. They are very mild mannered and peaceful, making them great tank mates for any community aquarium. In addition, Harlequin Rasboras add a nice amount of color to any tank. 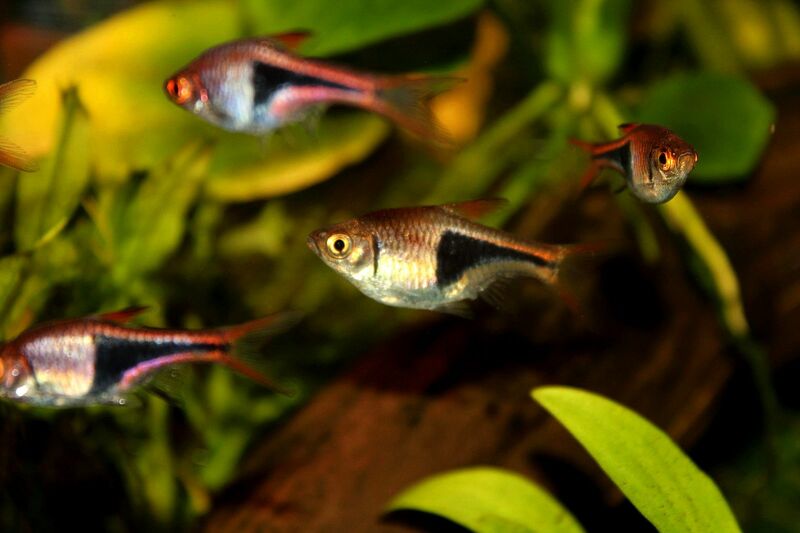 Harlequin Rasboras are schooling fish, so they need to be kept in groups of 6 or more. Thus, you will need a tank of at least 20 gallons to give your Rasboras and Betta fish enough space. Other than the excess space needed, Harlequin Rasboras are very easy to care for. 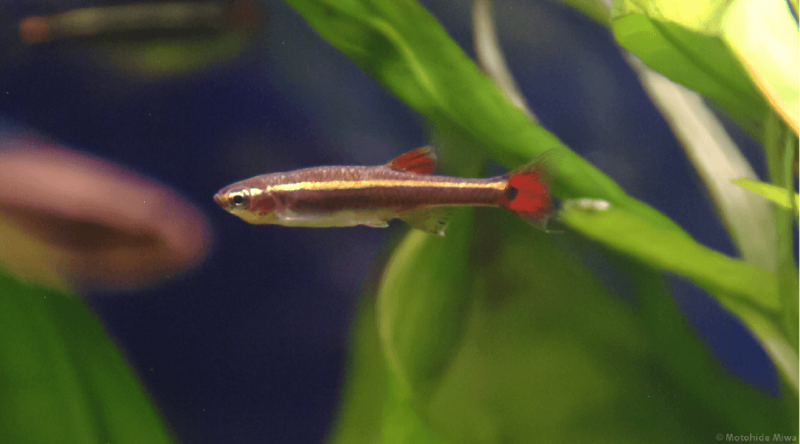 Ember Tetras are small, colorful fish that add life to any aquarium. Like other Tetras, they are schooling fish; if you plan to keep these, have no less than five. 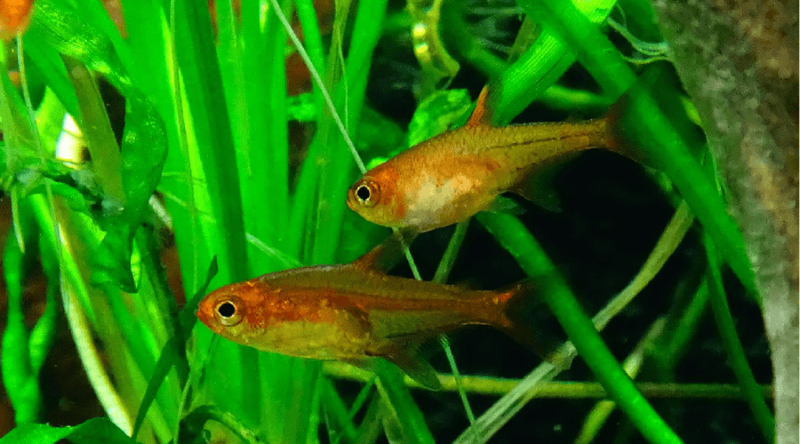 Ember Tetras are not picky eaters, but their size keeps them from eating anything too large. If you notice them struggling to eat, try crushing up the food into a finer consistancy. Ember Tetras make great Betta tank mates because they are friendly, quick, and easy to keep. In my opinion, these are one of the best fish you can keep with your Betta. Much like other species of the Pleco family, Clown Plecos make good tank mates for Bettas and other similar fish. They feed mostly on algae and uneaten food, which helps keep your tank clean. Like we recommended with Bristlenose Plecos, you can feed these fish algae wafers for supplemental nutrition. One thing that makes Clown Plecos great Betta fish tank mates is their small size. Typically, Bettas are kept in 10 gallon tanks. 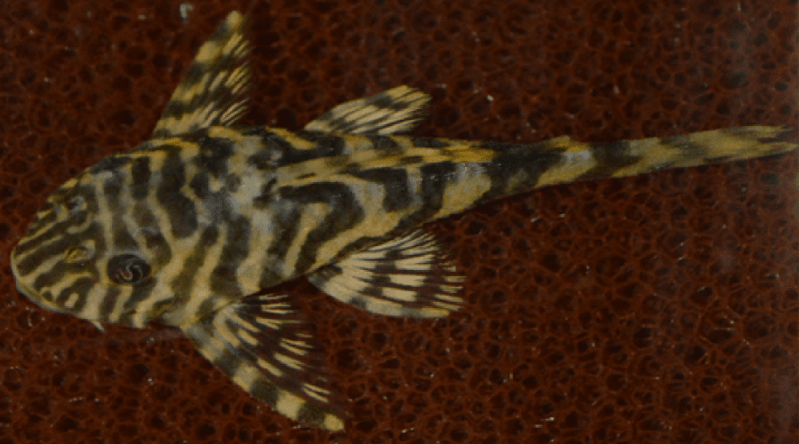 Clown Plecos only grow to around 4 inches, which is not typical of the Pleco species. Ideally, you should not keep Clown Plecos in tanks under 20 gallons. If you can find White Cloud Mountain Minnows, I would highly recommend getting them. They are somewhat hard to find, but make great Betta fish tank mates. They are peaceful and extremely hardy, able to thrive in temperatures as low at 45°F. When keeping White Cloud Mountain Minnows, make sure you have a school of at least 5 or 6. When kept by themselves, these fish tend to get nervous and nip at other fish. Keeping a school of these minnows will ensure that they don’t nip at the Betta’s fins. White Cloud Mountian Minnows will eat pretty much anything, so regular Betta flakes should suffice. African Dwarf Frogs are great tank mates for Bettas if you are looking for something a little different. They are docile, easy to care for, and will definitely spark up a conversation! 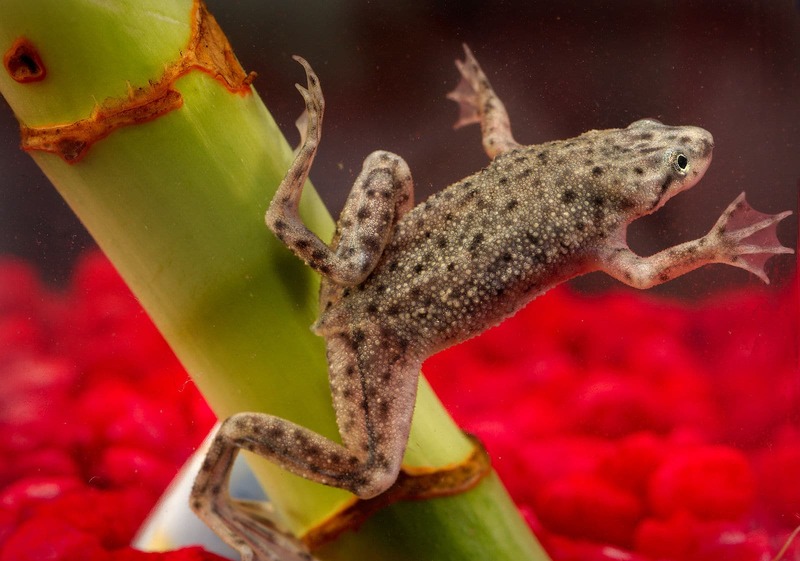 The only downside to African Dwarf Frogs is their eating habits. Unlike Betta fish, these animals will not eat flake food or pellets. Instead, they require meaty foods such as brine shrimp and blood worms. This requires a bit more work and money than other species. Other than that, ADFs make great Betta tank mates. Ghost Shrimp, also known as Glass Shrimp, make great Betta fish tank mates. They are cheap, easy to keep, and help promote a healthy tank. Ghost Shrimp scour the bottom of the tank, picking up scraps of food left behind. 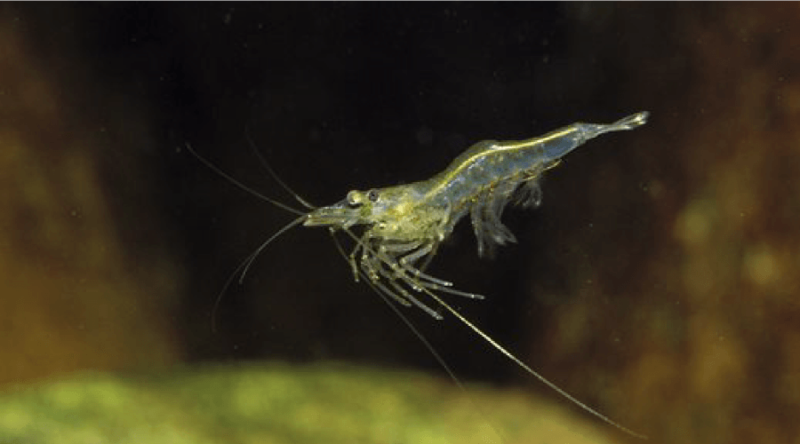 Ghost Shrimp prefer to be kept in groups of five or more. When kept in groups, these shrimp will reproduce quite often. Make sure you don’t have any large aggressive fish such as Angelfish or Cichlids with your Ghost Shrimp. They will quickly become a favorite snack. Ghost Shrimp can usually be purchased from local fish stores for next to nothing. If you are looking for something a little different to keep with your Betta fish, Zebra Snails may be the perfect choice. They add a different dynamic to your tank and are interesting to watch! 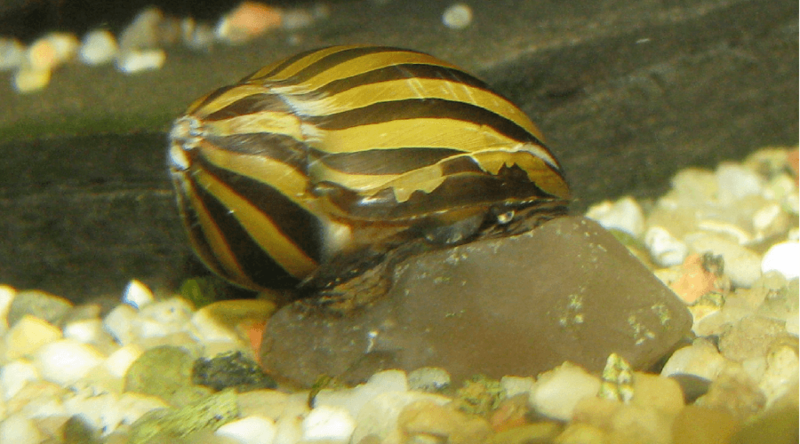 Zebra Snails feed mostly on algae and uneaten food, which helps keep your tank clean. As a result, many aquarists love keeping them in community tanks. In addition, Zebra Snails do not reproduce like crazy like most other snails. This is seen as a huge benefit, since freshwater tanks can be quickly overrun by other snail species. Whatever you do, DO NOT keep two Betta fish together; especially not two males. Sometimes it is possible to get away with two female Bettas, but I would still not recommend it. In addition, you should avoid any type of Gouramis. Gouramis are closely related to Bettas, and they definitely fight like it. Finally, try to avoid any fish that like to nip fins. Barbs are famous for this. Tetras are sometimes known to nip, but should not bother your Betta when kept in groups of 5 or 6. Betta fish are one of the most popular freshwater fish, especially among beginners. It is commonly though that Bettas must live alone, but this is simply not true. That being said, you must select Betta tank mates VERY carefully. 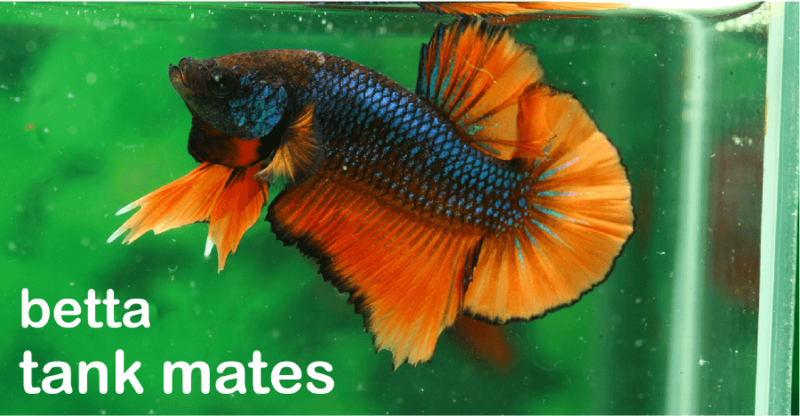 By follow our guide of the 11 Best Betta Fish Tank Mates, you should be able to successfully and happily keep different species of fish with your Betta.